Owners of smaller hotels often manage their properties directly. For locations that are part of a chain, a manager or general manager usually runs the place, while final authority rests with the company president, CEO or board of directors. 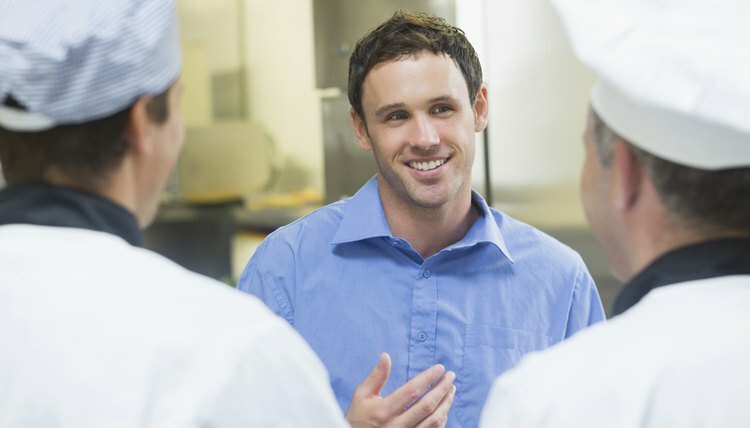 There are also managers for individual functions within a property – a front-desk manager making sure check-ins and checkouts go smoothly, a restaurant manager if the place has an eatery, a housekeeping manager to set cleaning schedules, a maintenance manager in charge of upkeep and repairs, and so on. The administration team works behind the scenes – and may not even work at the actual hotel location. These workers include human resources personnel who hire new employees and oversee worker benefits. Sales staffers coordinate reservations and provide services for guests such as airport pickup. The marketing and public relations teams promote and protect the hotel's brand and image through such things as advertising and the hotel's website. The finance department manages the money. Customer service people work directly with guests to help them enjoy their stay. They are the faces of the hotel. Bellhops carry guests' bags. The doorman at the entrance welcomes people. The front desk clerk checks people in. The concierge answers questions. The page runs small errands. The porter greets guests and directs them to their destinations. Depending on the hotel, the valet could be someone who parks cars or someone who cleans guests' clothes. Customer service also includes salespeople working in hotel gift shops or boutiques and all restaurant personnel, such as waiters and bartenders, who interact with guests. The maintenance staff doesn't usually deal directly with guests, but they still play a large role in customer satisfaction. Housekeepers clean rooms while guests are out. Groundskeepers keep machinery running and may also be in charge of landscaping efforts. Hotels might also employ electricians, plumbers, painters and other contract workers to do specific jobs on an as-needed basis. Properties with restaurants employ cooks and dishwashers in the kitchen, and bartenders, servers and busboys out front. What Are Duties of Floor Supervisors? Janney, Parker. "List of Hotel Positions." , https://careertrend.com/13374695/list-of-hotel-positions. 27 December 2018.